the girls are laying a few eggs! Well, at least it’s a productive revolt. What type of chicken lays that especially photographic speckled egg? 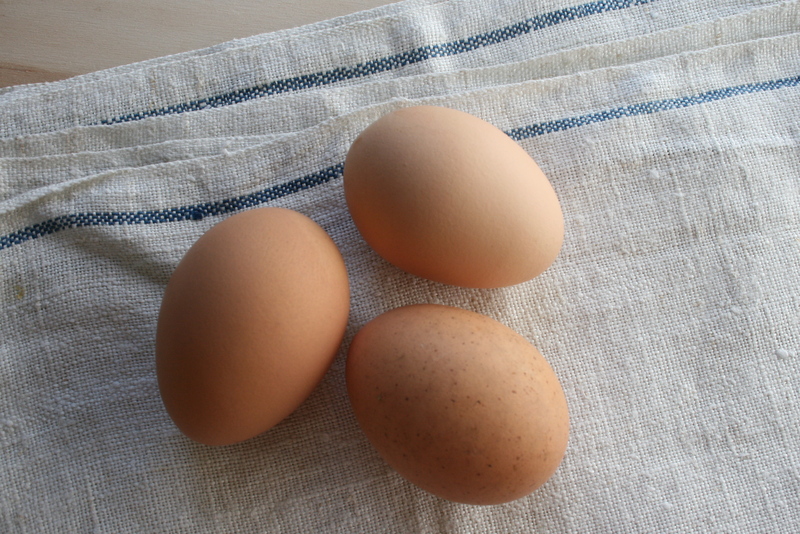 All my chickens are brown egg layers, and the shades of brown vary so much…I love the speckled ones the most! Yay!!! Lucky you!! Do they taste different I wonder?? So glad to have fresh eggs again! We think they are tastier then grocery store eggs…they are very yellow! I have a friend who gets eggs from me for their homemade pasta–as they love the great color they get. And organic must be better! Cost effective–not so much!, but hey I’m providing lots of memories and stories about “mom and her chickens” for my kids some day. Winter eggs! Hooray! Home-laid eggs always taste better to me than store eggs. Prettier yolks, too.